Smokers and smokeless tobacco users are planting and harvesting their own tobacco at home, saving bundles, having fun and going organic. SPECIAL $49 this visit ONLY! Cost and health concerns about commercial tobacco skyrocket! Smart people are discovering that growing their own tax free, chemical-free tobacco is very easy, simple and cheap! About a penny a cigarette. 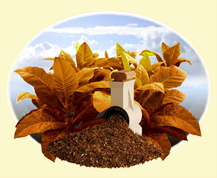 ANYONE with a small garden plot can grow tobacco and make their own inexpensive, natural cigars, cigarettes, chew or snuff or pipe tobacco right at home with the Home Tobacco Seed Pack from Heirloom Organics. Imagine making your own cigarettes for about .01 each! A PENNY A CIGARRETTE!!!! That’s 2 BUCKS A CARTON! Make dip, chew, snuff and cigars as well! For pennies! 3 This seed pack grows over 900 LBs of Tobacco! Plenty for your family and friends. Never buy seeds again. 4 Never buy another seed! 100% “Open Pollinated” (non-hybrid) seeds allow you to save seeds from your crop, year after year so you never have to buy another seed OR cigarette again! 5 Use your seeds NOW or save them for years! Your seeds STORE up to TWICE AS LONG because they are VAULT™ enhanced for Long-term storage. A method of seed preparation developed by the USDA. 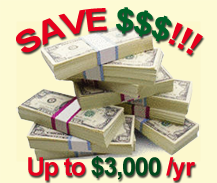 6 When you buy from this page today, you will receive OVER 10 HOURS of VIDEO INSTRUCTION, FREE! Our online video library will teach you everything you need to know plant, harvest, and cure your tobacco. 7 Your satisfaction is 100% Guaranteed. Heirloom Organics Guarantees every seed we ship. You will receive a full refund if not 100% satisfied. 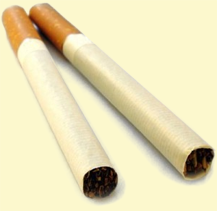 What concerns you most about commercial tobacco products? Tobacco is a very easy plant to grow and requires only 2-3 months to mature. It is grown in every state, even Alaska. It is legal to grow and cure your own tobacco at home. And it’s FUN! More and more of us are growing our own fruit and vegetables, so why aren't more of us learning how to grow tobacco at home too? The fact that tobacco can be grown in so many places and for so little money it is really surprising that more smokers, dippers, and snuffers don't grow their own. The fact is, most people don’t know how. Most people don’t realize how amazingly simple it is to grow your own tobacco right at home! for all your tobacco needs. An old Kentucky favorite used by many growers for its thin dark leaves. Also a good cigar wrapper as well as chewing tobacco. Good yield and cures well. 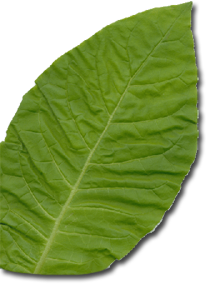 Madole is a dark tobacco used by many growers to produce a good yield of high quality tobacco which cures well. The famous and extremely rare Louisiana tobacco. 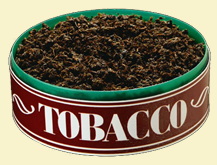 Originally grown by the Indians and fermented and pressed in hollow logs, this is a very potent tobacco. Usually used mixed with milder types. Now grown commercially by only a few families, the leaves are prepared by prolonged pressing and fermenting, into an almost black tobacco which commands high prices. 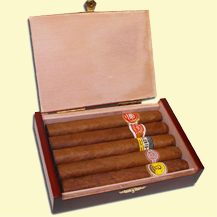 Gives a good weight of fine dark tobacco, and holds itself up well so that the leaves stay cleaner. Certified Kentucky-grown seed. This is the preferred species of the tobacco industry. Small Stalk Black Mammoth is a good-yielding sturdy variety. This deep dark tobacco is great for cigar wrappers and snuff. This is a standard Tennessee Burley that produces good yield, high quality tobacco that is favored for cigarettes. This plant has multiple disease resistance. A vigorous plant that is easy to grow. Tall tobacco with a thick textured, crinkly leaves that produces a fine dark, rich tobacco that is a favorite of pipe smokers worldwide. 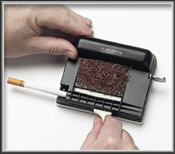 Also makes a good blending tobacco for cigars and cigarettes. Nicotiana rustica, also known as Sacred Tobacco, Mapacho, Aztec tobacco, and a host of other names. Originating in Mexico but was widely cultivated throughout the Americas by native peoples for ceremonial purposes. A very potent variety with very high nicotine content used throughout the Americas as well as Turkey and India among other places. The plants reach about three feet in height, are vigorous and fairly hardy. The abundant yellow blossoms bloom all day and make it an interesting garden annual. Cultivated worldwide for smoking and nicotine production. Potency is high and has been said to have been used as an arrow poison in Mexico. Despite the harmful effects of mass produced tobacco, the rising cost of cigarettes is astronomical! Soon, the average wage-earner in this country will not even be able to afford a packet of cigarettes off the shelf. This complete online guide to all the aspects of raising, harvesting and curing tobacco at home is FREE to all customers. ... along with loads of other useful information. Click Here to see an example instructional video entitled Growing Tobacco at Home. When you buy the Home Tobacco Seed Pack today, you will receive this amazing Online Video Guide to Raising, Harvesting and Curing Tobacco for Home Use ABSOLUTELY FREE!